CESaC in collaboration with Nigerian Electricity Regulatory Commission (NERC) will be hosting ICEPSOP conference from December 9 to December 12 2019. PCES, is an outreach program for high school students selected from USA and abroad that lasts for 6 weeks during the summer. Four teams of students presented their final projects- “Solar Smart Bag”, “Nano ToothBrush”, “Nano Skate Boot” and “Solar Evaluation Kit Integration”. Each student was commended by Dr. Momoh on their individual achievements and awarded with certificates. Dr. James Momoh, Director of CESaC and Electrical Engineering Professor at Howard University has been confirmed as Chairman of the Board of Nigerian Electricity Commission (NERC) after consideration of President Muhammadu Buhari’s nomination by Nigerian Senate. 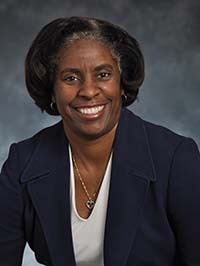 CESaC alumni, Dr. Karen L. Butler-Purry, a PhD graduate from Howard University and current Professor at Department of Electrical and Computer Engineering at Texam A&M University has been awarded as IEEE Fellow. Her research interests are in the areas of protection and control of distribution systems and isolated power systems such as all electric power systems for ships, mobile grids, and microgrids, cybersecurity protection, intelligent systems for equipment deterioration and fault diagnosis, and engineering education. We are proud to announce that the Director of the Center for Energy Systems and Control has recently received the prestigious Institute of Electrical and Electronics Engineers Life Fellow award. This shows the level of dedication and commitment the center is investing into the science community. It is with great joy that we announce the launch of the James Momoh Scholarship Endowment fund. Dr. Karen L. Butler-Purry, Associate Provost for Graduate and Professional studies at Texas A & M university has set up a scholarship Endowment Fund at Howard University. Funding for this project will be denoted by alumni and friends, like Dr. Butler-Purry, of CESaC. Resource generated from this project will be allocated appropriately for the enhancement of the center. A PhD student from Nigeria, Mr. Ehimen Ibhadode, has joined the CESAC research center. His program is dynamically funded by the prestigious Niger Delta Development Commission (NDDC) scholarship fund. His research will focus on the Co-optimization of Renewable Energy Sources for Optimal Power Management for Micro-grid Systems. Professor James Momoh attended the 2016 IEEE PES Power Africa Conference held in Livingstone, Zambia earlier this year. He was one of the Technical Co-chair of the conference. He, his students and some of his colleagues presented three papers during the event. He also provided a day-long tutorial on the Fundamentals of Microgrid operation and management. 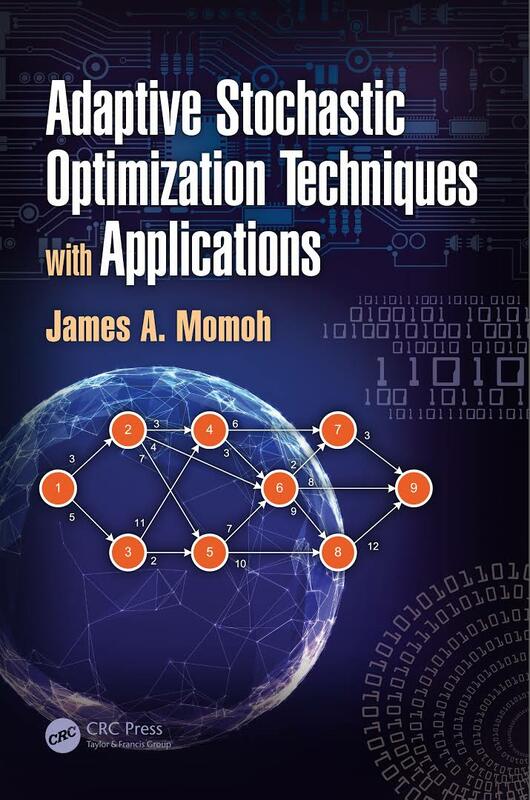 Recently a book titled Adaptive Stochastic Optimization Techniques with Applications authored by Professor James Momoh has been published. Adaptive Stochastic Optimization Techniques with Applications provides a single, convenient source for state-of-the-art information on optimization techniques used to solve problems with adaptive, dynamic, and stochastic features. Presenting modern advances in static and dynamic optimization, decision analysis, intelligent systems, evolutionary programming, heuristic optimization, stochastic and adaptive dynamic programming, and adaptive critics, this book: Evaluates optimization methods for handling operational planning, Voltage/VAr, control coordination, vulnerability, reliability, resilience, and reconfiguration issues Includes mathematical formulations, algorithms for implementation, illustrative engineering examples, and case studies from actual power systems Discusses the limitations of current optimization techniques in meeting the challenges of smart electric grids Adaptive Stochastic Optimization Techniques with Applications describes cutting-edge optimization methods used to address large-scale system problems applicable to power, energy, communications, transportation, and economics. Currently there is an exchange program supported by USAID/ State Department. 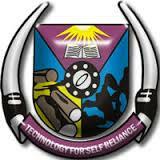 There are 4 MS students from FUTA who are currently being mentored by Professor James Momoh. Also one of the student mentored by Dr. Momoh previously under the same exchanged program completed his MS Degree. Fellowship award from Carnegie African Diaspora Fellowship Program(CADFP); Professor James Momoh has been awarded with a fellowship by Carnegie African Diaspora Fellowship program. Specifically to design and implement a protection scheme that protects the Flashers and Individual Control Cabinet (ICC) from over voltage and current that results from direct and indirect lightning strike. 1.Evaluation of different lightning protection scheme with specifications for the Flashers. 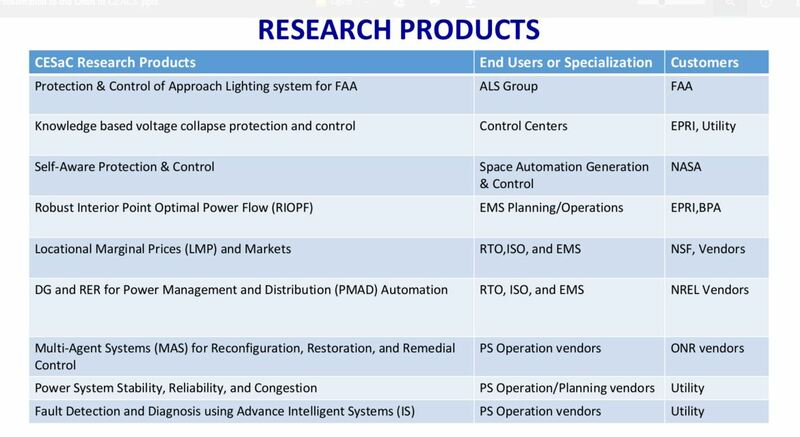 2.Evaluation of different lightning protection schemes and specifications capable of 3.protecting the ICC from Over-voltage that can result from direct and indirect lightning strike. 5.Update of the existing ALS grounding and protection specifications based on experimental and testing findings. 1. Design and develop a highly reconfigurable micro-grid test-bed for testing micro grid designs which will be available to other researchers at Howard University (HU) or researchers at other universities. Also, build hardware environment for processing, evaluating, and testing different micro grid design topologies based on certified protocol. 2. Deploy distributed Phasor Measurement Units (PMU), Phasor Data Concentrator (PDC) and a smart grid test-bed with Real-Time Digital Simulators (RTDS) at HU. The PMU and smart grid will utilize real time data and research product for performance assessment. 3. Study the impact and usage of renewable energy sources in the smart grid and micro grid through real time modeling and hardware-in-the-loop simulation. 4. Develop platforms for various standards development, real time visualization, and application development. 5. Knowledge transfer education, training, and certification program of smart and micro grid design. 1. Modeling, Evaluation, and Optimization of Renewable Energy Resources (RERs) and Integrated Environment. The equipments, supplies and materials needed to build the small scale micro grid for conclusion research and education activities at the CESaC have been purchased, assembled and set up for different research and education activities by the new graduate students Howard university. Following the arrival of the equipment the test bed was organized for the training session from the vendor from Canada who came to the university for three days for onsite training for our students and faculty. 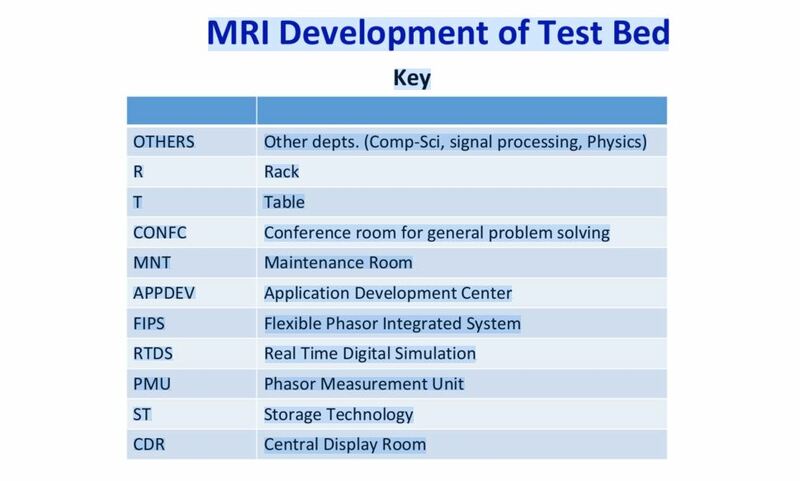 Upon setting-up the test bed, we prepared several exercises on how to use OPAL RT simulator. We organized a series of practical hands on exercises ranging from basic exercises to advanced assignments that will be used as part of the curriculum for undergraduate courses in power, electronics and control systems . As a result of the current setup, limited space remains for carrying out other project work.